Danise Levine, assistant director of the IDEA Center at University at Buffalo, says that while Universal Design principles take low vision into account, existing standards are prejudiced against low-vision building occupants. “Most accessibility codes are geared toward people with mobility issues, which is not what most low-vision people grapple with,” she explains. In cities such as Atlanta, residential “visitability” regulations, which guarantee entry and bathroom access for disabled visitors in new homes, also emphasize physical impairment. Even the best intentions, including mandatory curb cuts for wheelchair access, put low-vision pedestrians at a disadvantage, since these people are unable to discern the dip in a sidewalk’s surface. Architects are slowly waking up to the low-vision epidemic. According to Eunice Noell-Waggoner, president of the Center of Design for an Aging Society, they are “becoming more curious” about accommodating low-vision users. The American Institute of Architects now includes information about lighting techniques in its guidelines for healthcare facilities. Continue reading Various Recent Articles on Universal Design in Dwellings. The U.S. Department of Justice will propose new rules related to the act sometime in the next few months, spokeswoman Cynthia Magnuson said. from the stage or screen. up from one of eight. restrooms, hotel rooms and public housing. India Leading the Way on Accessibility to World Heritage Sites? It would certainly be a precedent-setting development if India were to successfully follow through on the proposal of the Archeological Survey of India (ASI) proposal below brought to our attention today by C. Mahesh. Success will be defined as third-party verification that they have designed solutions retaining the historical integrity of the sites through application of the seven principles of Universal Design - not a minimalist commitment to simply not violating building accessibility codes. NEW DELHI: In a bid to make Capital's heritage more disabled-friendly, the Archaeological Survey of India (ASI) has started implementation of a plan to build more ramps and wheelchair space for visitors with disabilities. The plan - which has already started off at the Qutab Minar complex and nearing completion - will soon follow at other monuments too. Archaeological Survey of India director-general C Babu Rajeev said: "We have already started working on implementing our plan to make the Qutab complex more accessible for disabled visitors. After this, we will follow up on other ticketed monuments also." Continue reading India Leading the Way on Accessibility to World Heritage Sites?. Sydney Film Festival in partnership with Accessible Arts have revealed an enticing and moving Accessible Cinema program as part of the upcoming festival next month. The Accessible Cinema festival program has two goals. The first is providing access and making films more accessible for people with a disability. This includes initiatives such as hearing loops, Auslan interpretations, wheelchair access, audio descriptions and closed captioning. In addition, the Festival wanted to take it one step further and offer a strand in the program that screened films made by or about people with disability. Working with Accessible Arts, Sydney Film Festival is thrilled to be screening a powerful program of films about people with disability, for all film-goers. Veja os outros trablhos em turismo na loja dela aqui. Universal Studios Theme Park in South Korea: Universal Design? Will Korea do justice to its citizens? Will it do justice to its tourists? Will the new Korean Universal Studios theme park incorporate state of the art inclusion by incorporating Universal Design -- starting today? SEOUL: Universal Studios plans to open a theme park in South Korea, betting that rides and spectacles based on movies such as Spider Man and King Kong will draw in more and more affluent people in Asia's fourth largest economy. Becoming the latest Hollywood film studio to expand in Asia's burgeoning entertainment resort market, Universal Studios said yesterday it would build the South Korean park by 2012, which could be larger than its parks in Hollywood and Japan. The project, announced a day after another US film giant Metro-Goldwyn-Mayer (MGM) unveiled a plan for a Shanghai park, highlights Hollywood's accelerating push to take the world's most popular entertainment to the world's most populous region. Continue reading Universal Studios Theme Park in South Korea: Universal Design?. Homebuilders have long given lip service to designing houses that accommodate people of all ages and physical abilities, but few companies actually built them. Now, though, the idea is gaining traction. The irony of the fact that it is now the US imitating Japan's leadership in the field of Universal Design in homes ought not be lost on Boomers. See SmartSilver Alliance's "Click to the Loo My Darling!" Catherine Marsden over at Accessible Chicago and the Kudos & Tomoatoes blog is one of several readers to register their support for the wakeup call to Bonnie and Judith's to Hotels.com. Take a look at her April 8, 2007 blog entry, "Kudos for Orbitz Travel Website." I had a positive experience with Orbitz travel website recently that I thought I would share with my users. I wanted to test the notion that firms in the entertainment and service industries do not currently offer the term wheelchair accessible as a selection criteria. For example, Metromix in Chicago can offer entertainment selections based on what types of bands you want to see, what neigborhood you want to go out in, but they do not offer a selection that would bring back an answer based on whether the user wanted wheelchair accessible seating, parking, or a wheelchair ramped entrance. Continue reading Support for Transparency in Online Hotel Booking. OK, time to scratch our heads and ask, "Why didn't I think of this?" Kevin Knestrick, attorney with Disability Rights Advocates, a law firm based in Berkeley that specializes in high-impact lawsuits on behalf of people with disabilities, said, "The failure to guarantee accessible hotel rooms means that a person in a wheelchair who pays for a room through Hotels.com literally might not be able to enter the room after they arrive at the hotel." Knestrick alleged, "Hotels.com is excluding people with mobility disabilities from its services. This is hostility to disabled and elderly people, not hospitality." Knestrick said Hotels.com won't guarantee that a wheelchair-accessible room will in fact be available but instead treats accessibility as an optional "amenity" like a king-sized bed. Continue reading Setting Precedents for Inclusive Travel: Booking Hotel.com for Discrimination. Continue reading Even CNN Starts to Get Universal Design. Continue reading Is Korea Accessible to Toursists? : Part 2. This photo shoot in the park near the Korean National Assembly was fun. Access from the DPI office several blocks away was easy in a wheelchair. Navigating the park was also. In the the process I met a group from a Seoul Independent Living Center. When leaving home for an extended period, people with diabetes need to take some special precautions and be sure to have the right supplies on hand. As part of dLife’s ongoing efforts to keep the diabetes community informed, the company has released dLife Travel (www.dLife.com/travel ) to help the over 80 million people who will be traveling with diabetes (or prediabetes) or with a loved one with diabetes in the upcoming months. Continue reading Diabetes & Travel. Gobsmacked on the Way to the Algarve! I am not quite sure if being "gobsmacked" is painful or leaves a bruise afterward but that is how Anne Leece described what happened to her when she learned that she and her husband Bill were beiing given a trip to the Algarve in Portugal. The couple are enjoying "the exclusive resort of Amacao De Pera to stay in the ￡1,500- a-week Vila Vita Parc Hotel on The Algarve in Portugal where they can enjoy first-class service in surroundings which include a private beach." "There must have been plenty of behind-the-scenes work to find the right place because this is ideal for me in my wheelchair, and it looks amazing!" Anne said. This story involves hippies and donkeys as transportation for a young man with CP. It follows a budding athlete. It also involves a chance for someone to swap houses in Mexico for a year (perhaps with a donkey thrown in for good measure?). Read about one gadabout family's unique journey at the Lexington Minuteman. Continue reading Amatlan, Monterey Tech, and Two Exchange Students. I don't think this is the way I want to tour India and Pakistan but this story by Saadia Khalid recounts the grit of one man willing to go the extra mile. 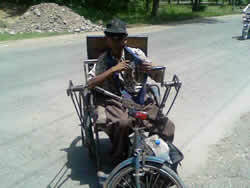 ISLAMABAD: Mohammad Nadeem Lohar, a folk singer, poet and composer has come all the way from Gujrat to Islamabad* in his wheelchair with a ray of hope to meet president and seek grant for forming a musical group. Offended though that no transporter showed readiness to accommodate him along with his wheelchair, Lohar continuously travelled in the scorching heat in his wheelchair to reach Islamabad, but his sweating suntanned face was still full of determination. Continue reading The Long Trek: Man on a Mission in India. Inclusive Destination development is one of the topic in Addis Ababa, Ethiopia at the 32nd congress of the African Travel Association. The five-day program addresses topics such as "Emerging Growth Markets for Africa Tourism Entrepreneurs," which explores new travel marketing opportunities for education, volunteer and student travel, the Asia market, cultural and faith-based tourism, African Diaspora travel, and accessible travel. IKEA thinks that Universal Design reflects family values - and drives sales. The Building & Construction Authority, Singapore Institute of Architects, and the Handicaps Welfare Association agree. Going beyond barrier-free access to be more inclusive and pro-family – that is what Swedish furniture giant IKEA has done at its Tampines outlet. And this has helped it clinch top honours at the first-ever Building & Construction Authority (BCA) Universal Design Awards for the Built Environment in Singapore. The authorities say going beyond barrier-free access to be more inclusive benefits not only the consumer. "The wider cross section of the population would be able to visit the buildings. That, in turn, would bring about higher turnover, in terms of sales and services ... provided by the building owner and the tenants within the building," says Wong Wai Ching, Director, BCA. Congratulations to a forward-thinking retailer for winning this first annual award. Bring this design with you arond the world! How I wish we had [with]TV up and on the air already! What a program today would have made. The Westbrook family has been hard hit by two separate incidents. In April 2004, then-SFC Gene Westbrook was hit by a mortar at an American camp mess hall in Baghdad, Iraq. The attack left Westbrook paralyzed. Then, last July, another accident shook the family. While en route to visit friends in Oklahoma, the family van lost control, touched an oncoming vehicle, and flipped into a ditch. The accident left James paralyzed and caused internal injuries to one of two Westbrook daughters, who later lost a kidney. The day after the accident, Gene Westbrook suffered a stroke, leaving him with further damage to his right arm and some memory loss. Peggy Westbrook recovered quickly from the accident to take on the daunting task of trying to rehabilitate both her husband and son while raising the rest of the family. That task was made ever more difficult because the family had to maneuver two wheelchairs around their ranch home, which was not designed to be wheelchair accessible. "We're always touched by and grateful for what companies like Insomniac Games can accomplish, especially in such a short time period, to support the families featured on the show," said Denise Cramsey, "Extreme Makeover: Home Edition" executive producer. "It's inspiring to see so many diverse organizations invest the time to make such profound differences in other people's lives." Continue reading Digital Space Travel for James Westbrook. One of the dangers for a reporter is asking questions for which there is (or was prior to asking) an answer. A man of Chan was walking along the ledge of a high mountain path when he was suddenly confronted by a tiger. To escape, he grabbed hold of a sapling and lowered himself over the edge of the precipice. While he clung there - the snarling mouth of the tiger a few feet above him and the base of the cliff a quarter-mile below him - he felt the sapling's roots slowly begin to tear away. He could find no foothold or anything else to grab. As he dangled there, wondering what he should do next, he noticed a strawberry growing out of a cleft. He picked it and ate it and remarked that especially considering the time of year, it was particularly sweet. Continue reading Ask and You Shall Receive. What happens when you put together an anthropologist (Christian Park), a journalist (Hyunjung Park), the owner of South Korea's only specialized Inclusive Outbound Tourism agency (Ho Sug Park), and the editor of the Rolling Rains Report "fresh" from a 12 hour flight SFO-ICN (San Francisco - Incheon Airport Seoul, South Korea)? Well, since the flight included the outstanding attention to detail supplied by Singapore Airlines - and the entourage in Seoul was gracious enough not to be irked by a delayed arrival - the result was an interview full of smiles, laughs, and interesting questions. Watch for Ms. Hyunjung Park's piece in the travel section of The Hankyoreh. 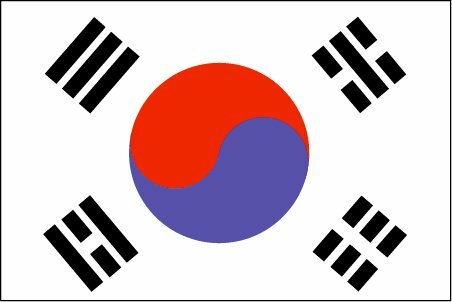 Continue reading Accessible South Korea. Is South Korean society, specifically, tourism, ready for the era of the Convention on the Rights of Persons with Disabilities that was adopted by the UN in December 2006? Signed by 89 countries including the Korean government on March 30, the Convention reaffirms that all persons with all types of disabilities have the right to enjoy all human rights and fundamental freedoms. To answer this question, Dr. Scott Rains is coming to Seoul on May 14 to tour key cultural sites and evaluate their accessibility. Dr. Rains, whose lower body became paralyzed due to a biopsy on spinal cancer, is an independent travel professional who manages a website on accessible travel (Trang web cá cược trực tuyến www.themiracleofkangaroomothercare.com) and a disabled rights activist. He will be visiting Imjingak and Odu Unification Observatory, sites symbolizing the division of Korea, and Gyeongbok Palace and Insa-dong, popular tourist sites. He will also be accompanied by the Korean Organizing Committee of the 2007 7th Disabled Peoples’ International World Assembly, an international gathering of persons with disabilities in September 5-8, 2007 at KINTEX. With Our Rights, Our Convention, But For All as the slogan, the DPI World Assembly is a celebration of the convention’s adoption and an opportunity for serious reflection on the approaches for effective implementation of the Convention. With an expectation of 3,500 participants (1,500 abroad) for the Assembly consisting of 42 workshops in a 2 day conference, the Korean Organizing Committee is also planning various side events such as a music performance by persons with disabilities, a disability film screening, a parade downtown, and sightseeing. Dr. Scott Rains (D.Min.) is the Director of Programs and Services at SeniorNet and Vacation & Disability Specialist at Ticket to Travel. Following his visit to Seoul, Dr. Rains will speak at the May 16 - 18 Active Aging Conference in Namhae on gerontechnology as well as address a group of disabled and non-disabled youth of the region. For information, please visit www.dpiwa.net; or contact Christian Park, tel. +82-2-761-0427, mobile. +82-11-9007-6270, email: contactchrispark@dpiwal.net. Continue reading Susan Aude and PeopleTect. Taking the elevator up one floor to ticketing at San Francisco Airport a Japanese family trio first crowded to the head of the line and then, led by the matron, muscled their way from the back of the elevator and over my wheelchair pedals to get out before the remaining six of us. Once in the clear, she sauntered away, arm-in-arm with her daughter, in no hurry to reach the about-to-depart airplane that we all were certain motivated such a brilliantly executed defensive tackle's rush. Watching her the muse of Haiku overtook me. Continue reading Haiku to the Lady in the Elevator. Random Acts of Kindness on the Road: Embracing the Korean "Peace Zone"
Technically, so they tell me, peace has never been declared with North Korea. So, as I struggle with Asiana Airlines to provide me with even a modicum of service, images of conflict and war come easily to mind. Add to that the fact that after a brief rest in Seoul tomorrow I will be off to Imjingak with a reporter from Chosun Ilbo and the chair of DPI's sub-committee on Imjingak accessibility. Reading the independent, pro-unification newspaper Hankyoreh set my thinking down a more peaceful path. In many cases, it seemed like it was people’s first experience to hug a person in a wheelchair, as they tried to figure out how to bend their knees and lower their heads in the right way so that they could look their hugging partner in the eyes. After the hugs, both parties always wear bright smiles. Marvin Smith and Bonnie and Wayne Woodworth have spent a collective 1,050 days at sea... Bonnie, who needs assistance walking, said cruise ship staff has always accommodated her needs — even going so far as to carry her up a gang-plank, wheelchair and all. Well, if you're not going to build in accessibility then a little custom service is not much to ask when "prices for the cruise range from $4,000 for a basic double-occupancy package up to $20,000 for a penthouse experience. " GOJO - Get on the Bus! Get out and use public transit! At the centre of the campaign is the GOJO website - at www.mygojo.co.uk - which will provide practical tips to increase young people's confidence travelling on public transport and information on special leisure deals and how to travel there. The site will also include information on rights and how to make a complaint if young disabled people feel they may have been discriminated against under the DDA. To drive young people to the site, comedians from Abnormally Funny People are performing 'stand up' comedy gigs on buses in five cities across the country with clips from the films posted on the internet. Continue reading GOJO - Get on the Bus!. "My husband and I are building a new national model universal design home in metropolitan Columbus, Ohio. The Universal Design Living Laboratory (www.UDLL.com) will have 3? baths," writes Rosemarie Rossetti, Ph.D.
Continue reading Designing with Universal Design at Home. Traveling when you have a physical disability can present different challenges. From simple things, such as finding an accessible restroom to dealing with places where there are only flights of stairs, traveling anywhere when you're in a wheelchair can prove interesting. I have both a power wheelchair and a manual wheelchair. I use my manual chair when we go to relatives' houses (because they're not accessible) and when we fly places. When I was a lot younger, we used my manual chair more than we do now because it was a lot easier for my parents to move me around — I was smaller, and I was young enough that freedom wasn't an issue. Continue reading Gratitude and Inclusive Travel. Martin Gaballa has a unique travel service -- Egypt for All. Now he also has a spiffy new web site to display the selection of tours and actvities he and his team have developed over the years. Continue reading Martin Gaballa & Egypt for All. Continue reading Global Access Travel E-zine: Accessible Paris Database Updated. Navin Guila: "Death Zone" Tour Guide? In January 2006 I wrote about the high altitude adventures of Navin Guila. Here are two slideshows offering a glimpse of his trip through the "death zone" at Marsimik-La. Continue reading Navin Guila: "Death Zone" Tour Guide?. 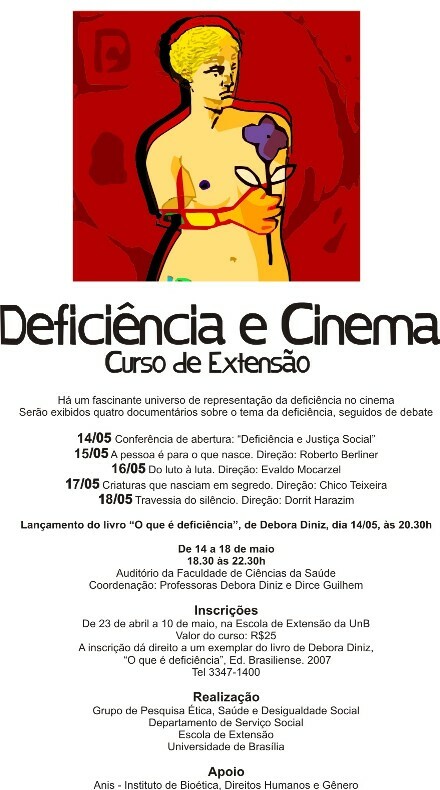 Continue reading Disability in Film: A Brazilian Analysis. 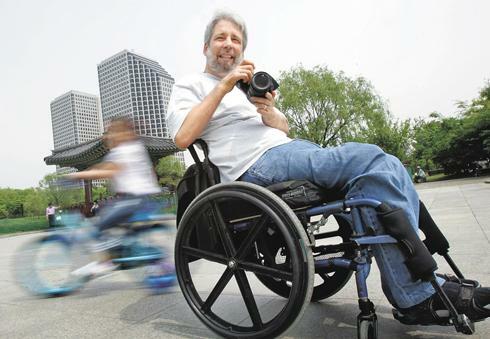 David Tool is not the only person hard at work to make Beijing accessible for the 2008 Olympics but he is someone Rolling Rains Report readers should know about for his unflagging efforts to do so. David is an English and Critical Thinking teacher in Beijing. No one seems to be explaining the obvious basics about Universal Design - not in the New York Times and not in Chosun Ilbo, the Bangkok Post, Xinhua or the Jakarta Post either. Those who followed my travelogue through Italy last Spring and have a sense of where Ravenna sits (high on a precipice above Furore, Positano, and the Amalfi Coast) will scratch their heads over this one at first - purely for the geographic puzzle. 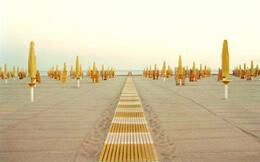 We assume that Neatech is not really claiming that their all-terrain wheelchair, Joy on the Beach (JOB), is the luge of choice for 1,200 people up in the plaza in Ravenna dropping a couple hundred meters to the Mediterranean below. Remember that whole towns in that region have summer and winter sites and then read on. A similar response was experienced by the international tour operator Ventaglio, when it introduced 80 jobs--branded with the company name and logo on the back--into 15 of its resorts. According to Monica Corbellini, director of accessible travel programs for Ventalio, bookings of disabled vacationers increased by 13,000 in the resorts utilizing JOB. Can we get this message to hoteliers in Beijing? There is a market out there for tourists with disabilities -- and we're coming for the Olympics!! Continue reading Releasing Pent Up Demand for Travel Products. Nuestra empresa sigue queriendo profundizar en la especialización en este segmento de mercado para lo que es clave la formación continuada de nuestro personal y el poder acceder a una información precisa, práctica y segura sobre los distintos productos y servicios de nuestros proveedores turísticos (compa?ías aéreas, hoteles, parques de ocio...) que nos permita el asesoramiento y venta a clientes con necesidades especiales. Continue reading Viajes 2000: Turismo Para Todos (Spanish). A ECA Jr. tem o prazer de convidá-los para a próxima edi? ?o do Veredas, que pretende mostrar que o turismo é possível para todos, independentemente de suas limita? ?es, principalmente quando essa limita? ?o é uma deficiência. 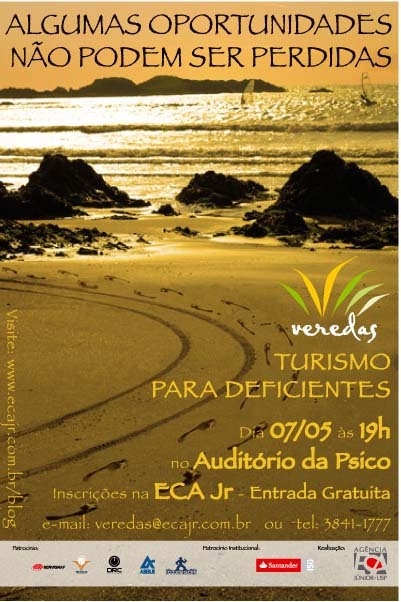 Ricardo Shimosakai, portador de deficiência, estudante de turismo e praticante de turismo de aventura. Algumas oportunidades n?o podem ser perdidas. Continue reading Brasil, Inclus?o, e Turismo (Portuguese). You are invited to take part in a research study conducted by the University of Technology Sydney on the tourism accommodation needs of people with mobility disabilities. The research aims to identify the room requirements and preferred information format for presenting accessible accommodation so that a person is able to make an informed decision for their needs. Continue reading Complete This Survey. 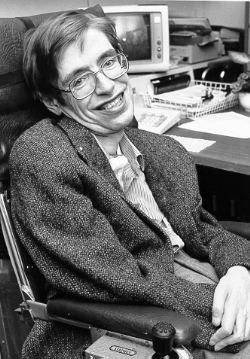 Stephen Hawking's recent experience of weightlessness provided news writers with plenty of opportunity to dredge up a slurry of imagery associated with the pitiable state of someone "confined" to his wheelchair. Stephen Kuusisto, over at Blind Planet, offers a brief analysis of this archetype-invoking event. The Virgin Galactic is scheduled to take near space commercial flights starting in 2009. Watch for continued media enthusiasm and eventually marketing hype involving words like "crippled" and "handicapped" in close proximity to words like "liberation" and "freedom" to describe space travel as desireable for people with disabilities. Of interest to me is the unintended irony of the BBC News' statement, "The flight, which took off and landed at the Kennedy Space Center in Florida, also was intended to test if Hawking has the "right stuff" for a suborbital spaceflight." At stake here, for the temporarily able-bodied, is nothing less than the entire "right stuff" mythology of space and future. Who can predict the cultural fallout of someone as visibly and severely disabled as Hawking penetrating the sanctum of space travel machismo. Brokenback Space Cowboys on DVD? ?Tourism for Visitors to New Zealand with Mobility Problems: a West Coast Perspective? Tourism is New Zealand?s primary export earner, and the West Coast?s largest employer. 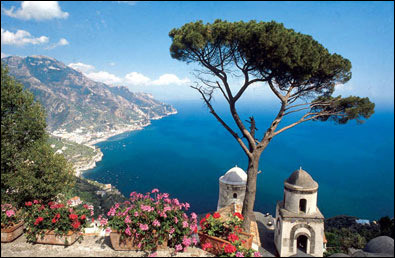 There is a growing trend worldwide to cater to niche-tourism markets. People with disabilities represent a large and growing niche tourism market, one that New Zealand and the West Coast has not yet begun to fully exploit. This market has increasing discretionary funds and financial power, is articulate and web savvy, and very interested in travel. There is a significant opportunity for the West Coast to place itself as a region of excellence in tourism for people with disabilities. However, awareness of this market and the ability to cater for it is currently negligible. This report provides an overview of the access market, a preliminary examination of the provision of West Coast tourism services for people with disabilities, and suggests ways in which this large and growing market can be researched and developed. Continue reading Tourism is New Zealand?s Primary Export Earner.